When deciding which Champions might be considered “Revolutionary” I decided on threequalities: 1. Champion has experienced sustained viability since release. 2. Champion fundamentally altered the way the role is played. 3. 1. Champion has experienced sustained viability since release. 2. Champion fundamentally altered the way the role is played. 3. Champion had a significant, and sustained impact on the pool of viable champions for the role. Taking these three qualities into consideration, two champions immediately sprung to mind. But first, I’m going to take a look at a two champions that didn’t quite make the cut. Orianna has essentially been viable in competitive play since release. The amount of Utility and Crowd Control she brings to the team allows her to stay viable in every meta. In the Assassination meta, she was an integral part of protect the ADC comps, using her shield and C.C. to keep her team alive. In the Support meta, every other Champion pick was really just a lesser form of Orianna. When Ziggs was popular, Orianna served as the safety pick, ensuring her team wouldn’t be out-gunned in team fights. In short, Orianna is a Champion that is almost without flaws. But she didn’t make the cut because she never defined the meta, and never had a deep impact on which champions were viable. Vayne was the first marksmen to have the potential to truly outplay the opponent single-handily. Before she was released, the role of the marksmen was to just stand back and attack from behind a wall of meat shields. If you got to the marksmen, they died. That was pretty much it. But vayne was different. Her short range forced players to get much closer to the fights than they would have liked, forcing them to utilize strong positioning to stay alive and maximize damage. Tumble allowed her to move through and around fights, dealing damage to anyone and everyone. However, a series of nerfs ensured that only a few masters could effectively play her in competitive, and the Meta never really changed. Teams built comps around Vayne, but she didn’t fundamentally change how the role was played. When Lee Sin was released, Riot ran a fake Champion Spotlight on April Fools day that implied that Lee Sin possessed godlike abilities such as kicking an enemy champion across the map and into the nexus in order to instantly win the game. Little did they know that three years later that spotlight would seem much less like a joke. Initially hailed as weak, competitive players soon began to realize Lee Sin’s nearly unlimited potential to great success. The key to that success was Lee Sin’s immense outplay potential and dueling ability. That posed a problem since none of the other junglers at the time excelled at either of those things. This resulted in a permanent change to the meta. The tanky initiators of the past disappeared in favor of strong early game carries. There was but one rule. A Champion had to be able to gank effectively at level 3, if not earlier. This gave rise to Nocturne, Jarvan and the return of Eve to the jungle. They would eventually be joined by Elise, Vi and Kha’Zix to form a pool of junglers that has stayed nearly unchanged for years now, and doesn’t look to be changing anytime soon. It’s quite simple. Nearly every Champion that was competitively viable in the jungle before Lee Sin was no longer viable after Lee Sin (though some lost viability due to jungle changes), while Lee Sin has remained not only viable, but as the highest priority pick through three jungle reworks. Lee Sin did all this by bringing something to the table that no other Champion did. Never before seen mobility combined with sheer power and a flexible build path. It’s difficult to imagine the support role without Thresh since he’s been the dominating pick since his release in January 2013. The role was much different then. Supports existed primarily as ward and heal bots and it wasn’t uncommon for your support to finish with boots and just a single completed item, and often less. Because the position was more reliant on decision-making than mechanics, teams had a tendency to give shot calling duties to their support, allowing the carries to focus on csing. The most mechanical thing any Support player could do was flash and press R on sona. Thresh changed everything because he could do (almost) everything. He has Death Sentence for picks, Flay and Box for peel/disengage, and Lantern for escapes. His passive makes him innately tanky while the passive on flay gives him additional auto attack damage for trades. Suddenly, the Support position demanded strong mechanics and made gods out of Madlife, Xpecial and any player that was able to master him. 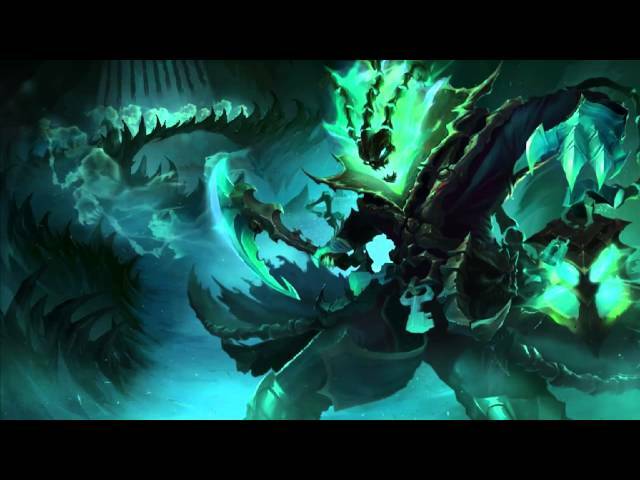 Thresh’s entrance into the support meta effectively spelled the doom of traditional supports like Taric and Soraka whose kits lacked the tools to handle all that Thresh brought to the table. The key factor in every champion that has had a strong impact on the game is the innate ability to outplay the opponent. League of Legends was dominated by binary champions when it was released. Many Champions were reliant on auto-attacks while most of the mages were point and click. Skill Shots were rare, and fights were often predictable. Amumu lands bandage toss, presses R, wins fight. Riot’s much loved “counter play” was almost non existent. The outcome was reliant on each team’s “If we land this one ability, we win” strategy (Think when Mid Morgana was popular). Champions like Thresh and Lee Sin introduced chaos, doubt, fear. All it takes is one Lee Sin kick or one Death Sentence to turn a game on its head. They made the game more nuanced, like a chess match. And each time a Champion is released, I wonder if it will be the next Champion to turn the game on its head. In Azir, I think we may have that Champion. 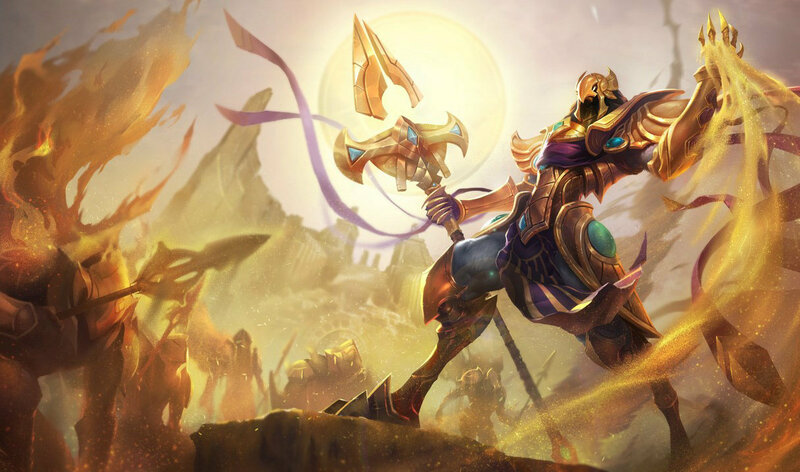 Azir created excitement within the professional community the moment he hit PBE. Players like Bjergsen immediately saw in him the same potential for out of the box thinking and mechanical outplay that already exists in Lee Sin and Thresh. Like Thresh and Lee Sin, Azir’s kit included several new gameplay mechanics. He can build a tower on top of one that has already been destroyed, and his soldiers can’t be targeted. The latter is a substantial departure from previous minions like Malzahar’s voidlings, Tibbers and Mordekaiser’s ghost that could be destroyed. His ult creates an impassable wall, differentiating it from Anivia’s, which can be jumped over, and Karthus’s, which you can walk through. His abilities allow him to not only move his soldiers freely, but himself as well. While not as fast as other gap closers, it does make Azir a very unpredictable opponent to play against. A number of videos of Azir players using this maneuverability combined with his ultimate to catch the enemy off guard have already popped up on the reddit hot page. Azir can essentially pull off an inSec against the entire enemy team, all while staying safe behind an impenetrable wall as seen here. But it takes more than some cool tricks for a Champion to be revolutionary. Azir’s primary strength are sieges and team fights. In fact, his ability to siege is likely so strong that he will force a change in how teams play against siege comps. While many mobile assassins like Zed, Ahri and Yasuo and anyone who can get past his soldiers are difficult opponents in lane, it’s easy to see how their ineffectiveness in defending against sieges could remove them from viability, thus marking the return of Champions that excel at wave clear. Strategies will have to be developed to counter what Azir brings to the table. Azir’s towers change the dynamics of the game and create imbalances that shouldn’t exist. Suddenly, an open inhibitor isn’t really open. A siege isn’t a huge risk because you can siege while standing on your own tower (at least riot had the foresight to not allow Azir to create towers by the enemy nexus). Map Control an opponent has earned can be wrest back with a single click. It’s quite possible that teams won’t even want to deal with the difficulties Azir poses and just bans him out. When taking a look at how a Champion’s introduction effects a Role it’s often necessary to look at the Champions that were released around it. Lee Sin was released immediately after Maokai, Jarvan and Nocturne. Those three Champions fit reasonably well into the new Jungle Meta Lee Sin was about to create. Thresh was able to single handily change the bot lane, but Champions that had fallen out of favor like Morgana and Leona rose back into prominence to counter some of what he brought to the table. 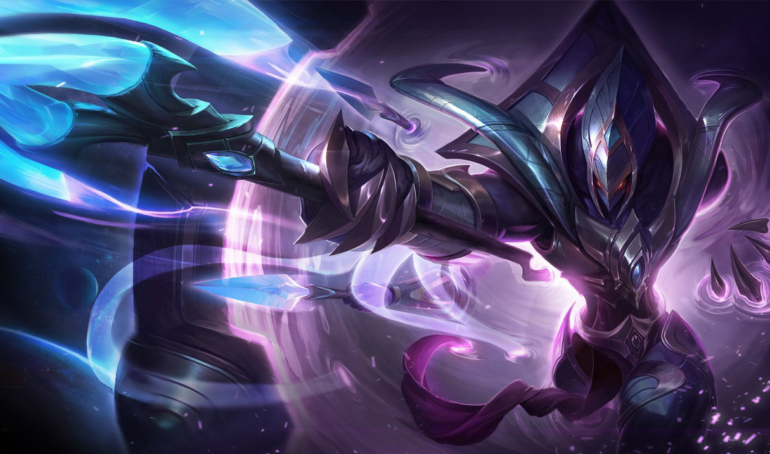 Melee champions like Zed, Talon, Akali and Katarina struggle against Azir before they hit level 6, but have decent success once they get their ultimate. But much like Rumble, Azir’s strength in the mid and late game is such that he can be 0/5 and behind and not only relevant, but dominant. Whether this forces teams to stay away from melee and single target assassins remains to be seen. It’s going to be harder for Azir to have the same effect on mid lane that Lee Sin had on the jungle thanks to the variety of viable picks in the current. Historically, when Riot gets a creative breakthrough, it tends to last for a while. Thresh was just the last Champion in a streak of successful launches that included Rengar, Syndra, Kha’zix, Elise, Zed, Nami, and Vi. All Champions that have remained more or less viable since release. That streak ended with Quinn, who has a really cool concept, but the natural advantage created by having an ADC with a blind makes her impossible to balance. Azir has been part of an up and down year that included successes like Braum and Gnar, and misses like Velkoz and Kalista. But what all those Champions did have in common is unique and interesting kits. So while the balance team has had some swings and misses, this has arguably been one of Riot’s most successful years creatively. If Azir, Kalista and Rek’Sai are any indication, the best may be yet to come.